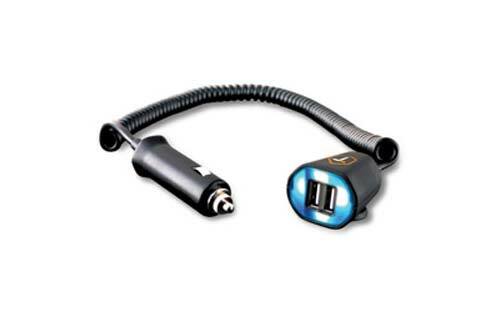 Converts your vehicle's cigarette plug into a dual USB port. The higher amperage allows you to power cell phones and mobile devices in a fraction of the time. Comes with an 8 foot cord so you can install it in a wide variety of locations. Light up USB ports make it easier to see in dark environments or at night.